Researchers in the state papers of the Tudor period have to familiarise themselves with secretary hand, the contemporary style used by educated writers. The style is fairly constant in Britain and Ireland from the early 16th century up to the mid-17th century. Numerals are usually in Roman form: i v x l c d m. And there are many abbreviations. It takes a couple of weeks to get used to secretary hand, but once you have it you never forget. Like riding a bike. Did you get that? When I said crystal clear I meant the reproduction, not the Welsh names. What the researcher can’t prepare for is the chaos of the papers themselves. Many are in poor condition – blotted, stained, torn, rotten – and they cast clouds of bronchial killing dust at every turn of the page. But many others are just badly written, full of scribbles and erasures. A prolific contributor to the state papers was William Cecil, Lord Burghley. We rely greatly on his record keeping for much of the original research in this period – to the extent, some say, that historians are in the grip of a dominant source. That may be true, but sometimes the greatest reservation about Burghley is that his instantly recognisable handwriting is … veeery difficult. I wanted to post an example of his worst behaviour, but no luck finding online links. He was devoted to genealogies of those who sought his favour, and it’s common to come across a begging letter addressed to him from some spy or priest or impoverished noblewoman, and to find on the reverse (he always paid attention) Burghley’s sketch of the writer’s family tree – but in an impenetrable barbed-wire in the margins. Quite a puzzle, that someone so dedicated to the records should record himself in this way. Maybe he was deliberately difficult? 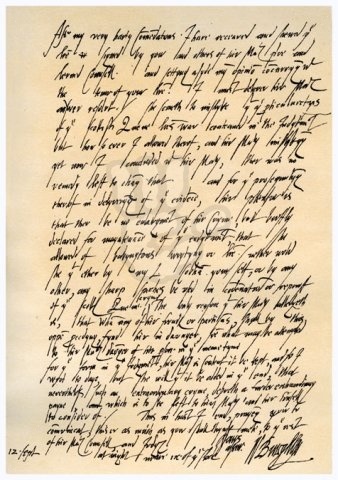 I’ve read many of his letters, but can offer no solution. He also used ciphers in his correspondence, but I’ll leave it at that. 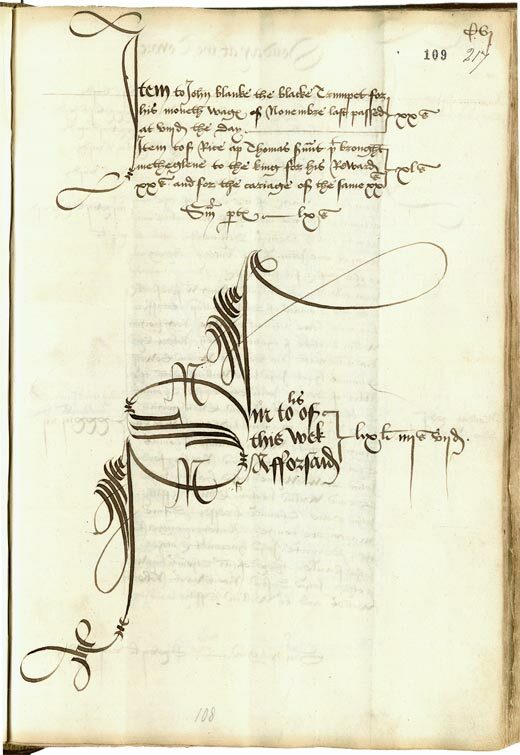 The National Archives have a free online tutorial on old handwriting – give it a try.